As some of you know I spent the Labour day long weekend with some of my girlfriends in Montreal. Lots of food, wine and fun in a great city. Such a great city especially the beautiful Old Montreal. 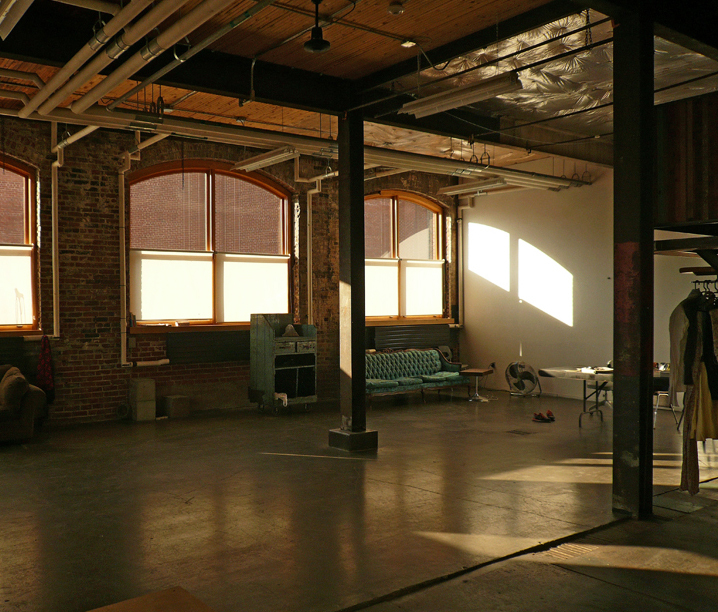 In today’s Convert It post, I’m highlighting an adaptive reuse project in…you guessed it….Montreal! It’s the Darling Foundry buildings. The Darling Foundry buildings were constructed between 1880 and 1909 by the Darling Brothers for their large metal works operations in Griffintown. At one time, this foundry was the second most important foundry of Montreal, with more than more than 100,000 ft2 of space. The Darling got its nickname, “the snake,” from the elaborate rooftop ventilation system visible to passersby. The Darling Foundry continued to prosper until 1971, when it was sold to Pumps and Softerner. The building remained in operation until 1991 and was then was abandoned for 10 years. The group Quartier Ephémère, which was founded in the early 1990’s, stepped in and raised funds to create a compound of art galleries, artist studio’s and workshops in the old foundry. The first phase which included Quartier Éphémère’s offices, and the two public exhibition galleries opened in 2002 and was designed by 02, and was conceived by the architects In Situ (www.insitu.qc.ca). Phase 2, which houses artists studios and workshops was designed by the environmental architectural firm, “L’Œuf. “Courte-Pointe” the visually bold installation at the entrance to the Foundry is by Philippe Allard and Justin Duchesneau, and is made from milk crates. You can also rent out some of the space including the main hall shown below. What a cool space for an event! They also have an artist’s in residence program so artists from all over the world can come and create beautiful art at the Foundry. On top of this being a really cool reuse of old buildings and preservation of the industrial history of Montreal, Quartier Éphémère’s vision for this place as a way to support and promote art in Montreal is pretty awesome.